This article will serve as a review of the upcoming Tomb Raider (2013) soundtrack release, since we are able to listen to the entire album at music.aol.com. But I warn you; it is my opinion and not everybody will agree with it. 1. Adventure Found Me feels like the beginning of the main Tomb Raider theme composed by Troels Brun Folmann, transcending into a prelude of horror. A good start for a dreadful mood, to be continued in 2. The Scavenger Den, which builds the atmosphere of dark and unknown places before crossing into an epic increase in tempo. The track then simply ends with a welcoming to this new world, accompanied by violin and piano (the main theme). 3. Exploring the Island is one of the first tracks which caught my ear, only because it alludes to the incredible score of Gothic, composed by Kai Rosenkranz, a game where a hero overcomes many obstacles during travels through an island. Do you see a pattern here? I do. However, we not here to discuss the game, but what sets its mood - the music. The track mostly refers to this theme, when the nameless hero (of Gothic) penetrates mines and caves. Also, it has nice touch of guitar at two points. Exploration indeed. 4. First Blood at its beginning builds a mood of tranquillity, then comes a warning of something dark. After that, we jump into a more definite threat, more like "Attention Everyone!"... And we come towards a dark and sorrow end. After this track it jumps to a rush in 5. Reaching Roth, which basically most of the track can be associated with a jungle-like style, including a brass main theme and some violin-driven moments of suspension. By the third part of the track, some listeners might be able to recognise a similar style to the score of Uncharted 2: Among Thieves by Greg Edmonson. 6. Infiltrating the Bunker combines symphony with simple percussion sounds, reminding me of the works of Jesper Kyd, especially the Assassin's Creed: Brotherhood soundtrack (i.e. Master Assassin and The Pantheon). 7. A Call for Help gives us a deep, dark and also "epic" beginning - being for me the combination of themes from the Rune soundtrack (composed by Rom Di Prisco, Jim B-Reay & Mike Larson) with a style similar to Sonic Mayhem's (Sascha Dikiciyan & Cris Velasco). The second part is a slower and mood building symphony, giving us a feeling of great purpose. Coming into the third part is another variation of the main theme, crossing to horror, through which we speed up towards a mysterious yet content end. My guess is that this track should be divided in two parts/tracks. 8. Entering Himiko's Tomb is the track which in my opinion is supposed to define Tomb Raider and again it feels like a reference to Rosenkranz's Gothic. It consists of strings flowing with dark sounds of "The Instrument" in the background. Later on we meet an Uncharted style again with a nice touch of flutes, crossed with another main theme variation. 9. The Descent - the beginning brought back memories of the Severance: Blade of Darkness score by Óscar Araujo, with drums giving the feeling of another exploration with unexpected obstacles. The music also has dreadful moments of rush towards some purpose. After the dreadful anticipation in The Descent, we flow to 10. The One, which becomes mysterious and mood building, to a rush for a moment, after which battle-style horror continues. Symphonic horror anticipation continues towards a terrifying finish. 11. The Scavenger's Camp is definitely a battle theme, combining dirty sounds like metal drums and metallic string instruments. We continue battle with 12. Paying Respects, but in a symphonic way - more like works of Lorne Balfe from Assassin's Creed III. But after two minutes of combat, it features another variation of the main theme, ending with a dark appearance. 13. On the Beach has a tranquil start and then evolves into an anticipation/fight theme. It appears that the entire track is combined from all themes which can be heard during gameplay at the beach. 14. Secret of the Island is a dark symphony with a lot of musical triangles and brass instruments. A piece which in my opinion appears to be more suited to running around and searching for something. 15. The Oni starts with dark brass instruments, bells and chimes, with some fading in/out of symphony in the background. It gives us a feeling of mystery and secrecy. Then we jump into the second part which is speed up in a mix of style between Lorne Balfe and Óscar Araujo. For me it feels like a fast paced cue that plays during some puzzle when time is running out. 16. Whitman's Test starts dreadfully to give us a feeling of incoming loss with dark and deep horns; an anticipation. For a moment it gives us hope with a variation of the main theme. After is the return of the dreadful horns, which comes to the same dark end... The whole track reminds me of Judge and Jury by Audiomachine. After this we come to 17. Scaling the Ziggurat, a run towards something, but through moments of horror, dreadful horns and search anticipation. It speeds up to an epic finish. The music style continues for 18. The Ritual with simple metal and normal drums of anticipation. Also with the main theme in the background, it comes to an epic symphonic conclusion, and this is when the first part ends. Then we run through more horror to fade into dreadful anticipation and tranquillity. 19. A Survivor is Born is symphonic and then features a peaceful piano theme, really giving the listener the feel of birth. Then comes 20. The Tomb Raider; a reminder of the old theme by Troels Brun Folmann, a light and cheerful short track. 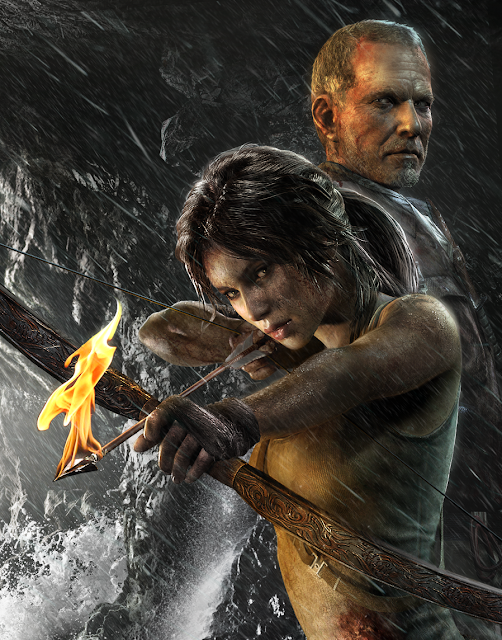 Personally I'm not a big enthusiast of these compositions, but I'll give Mr. Jason Graves a chance to prove the effectiveness of the music while playing as young Lara. The release is kind of messy; the first few tracks are chaotic, having this sudden mood/theme change which irritates me as a listener, but later the tracks become more constant and balanced. Tracks I definitely love include: Exploring the Island, Infiltrating the Bunker and The Scavenger's Camp. So finally I might say as a music enthusiast it brings 70% of joy for me. Please share your opinion, and let's have some discussion over the matter. Thanks to your article, I was able to find the full soundtrack and now I can enjoy this beautiful musical composition. I would like to get more updates those games. It would be really great to find something truly new.